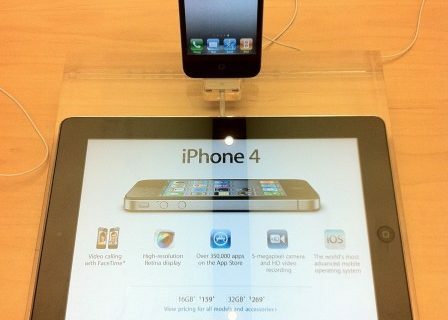 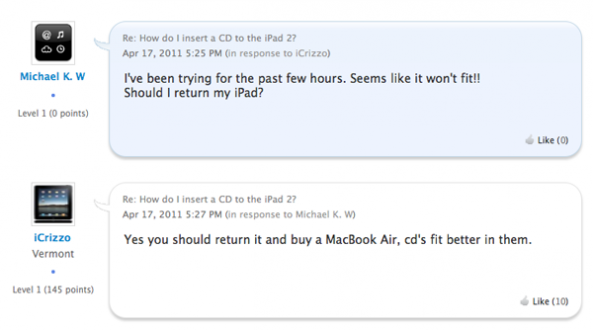 "I'm Trying to Put a CD Into the iPad 2"
No, we can’t make this stuff up. 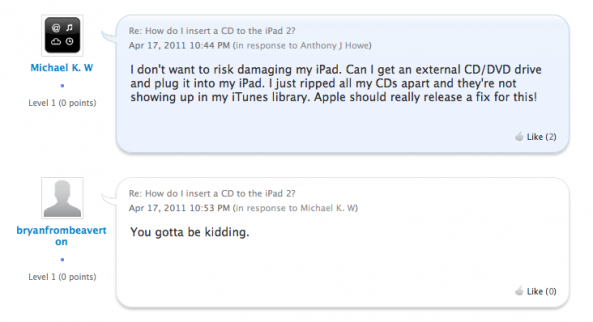 A guy named Michael has been sharing his dilemma in a discussion thread on the Apple support forums, and he’s been slowly reaching the conclusion that the iPad 2 does not double as a CD player. 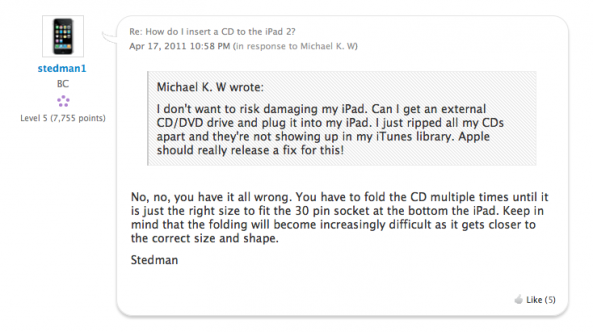 Michael was surprised that he couldn’t manage to fit a CD into the iPad’s 30-pin dock connector, so he took to the Apple Support website to let everyone know about his problem— and we’re going to call that his biggest mistake. 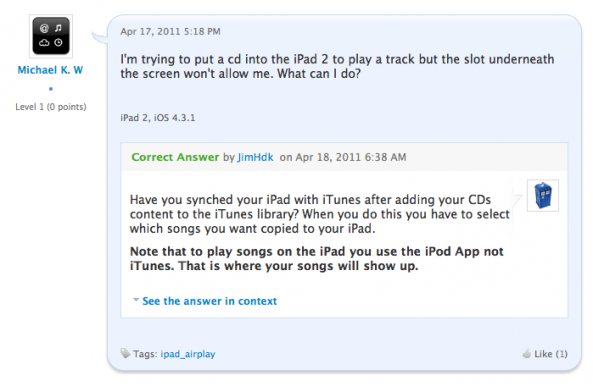 The genius in question tried “for hours” to cram a CD into his iPad, but his efforts were to no avail.